Content by Halle Trapp. 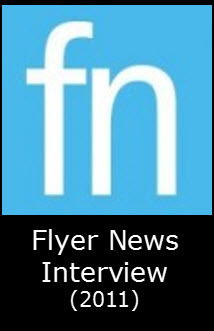 Originally published on October 20, 2011 @ Flyer News. Although society deems wealth to be the measure of success, some individuals model the importance of pursuing one's own dreams over achieving a great salary. As a freelance film critic, founder of a formal film critic magazine, and former professor at the University of Dayton, Tony Macklin offers the life lessons he learned throughout his adventure, rather than boasting in his success of following his dreams.